The Fenton Vase is visiting Glasgow as part of the Trafficking Culture exhibition at the Hunterian Museum. Today I had the opportunity to enjoy one of the most beautiful bits of Maya art. As part of an exhibition that we at Trafficking Culture have produced with the Hunterian Museum I was asked to suggest a piece of Maya art which would illustrate the story of the looting of Mesoamerica. The catch is that the piece had to be fully legal: it had to have left its country of origin legally. 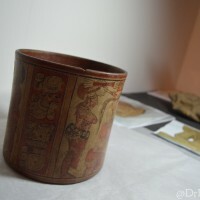 Very few Maya objects in international collections meet that criteria. One that does is the British museum’s exquisite Fenton vase. I took a chance, asked for that piece, and it was approved! I’ll tell more about the exhibition in a later post, but I wanted to brag now. Today the Fenton Vase was unloaded and put into its Hunterian case. I am happy to say that before it was put under glass I got to take a very close look. Below are some photos and the text panel that I wrote. If you are in Glasgow, please come by the Hunterian and have a look. A Maya piece of this caliber won’t be in Scotland again for a very long time. Polychromed ceramic vessel depicting the delivery of tribute to a seated lord. Provenance: Discovered at Nebaj, Guatemala, in 1904. Purchased by CL Fenton and then by the British Museum in 1930. Legal Status: The discovery, export, and purchase of this vase predates Guatemala’s 1947 Decreto No 425 which declares all artefacts the property of the state and requires export permits for cultural objects. Thus the vase left the country in accordance with the law of the day. Comment: The Fenton Vase was not excavated by archaeologists but it was not looted. In 1904 when it was found, scientific archaeology as we define it today did not exist in the country. 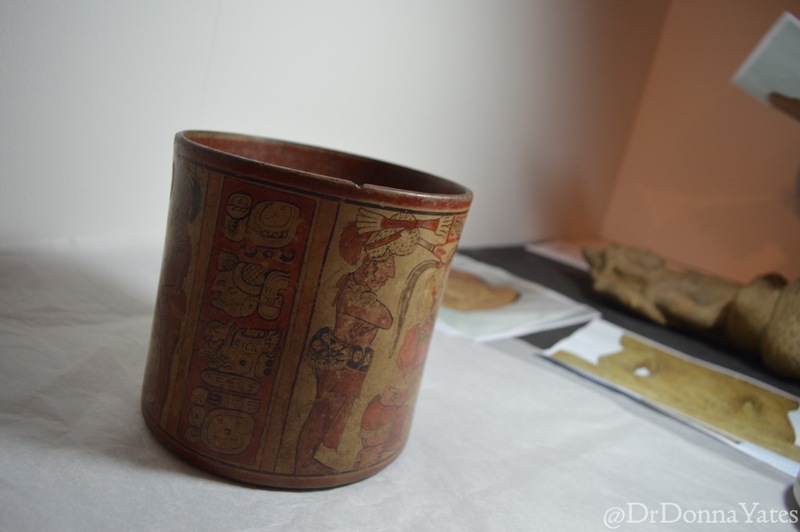 Very few Maya objects in foreign collections have completely clean and legal provenance. The Fenton Vase is a rare exception. The Classic Maya civilisation (~250–950 CE) spanned modern Guatemala and Belize as well as parts of Mexico, Honduras, and El Salvador. Maya artefacts, with their distinctive iconography, became popular on the international art market starting in the 1960s. 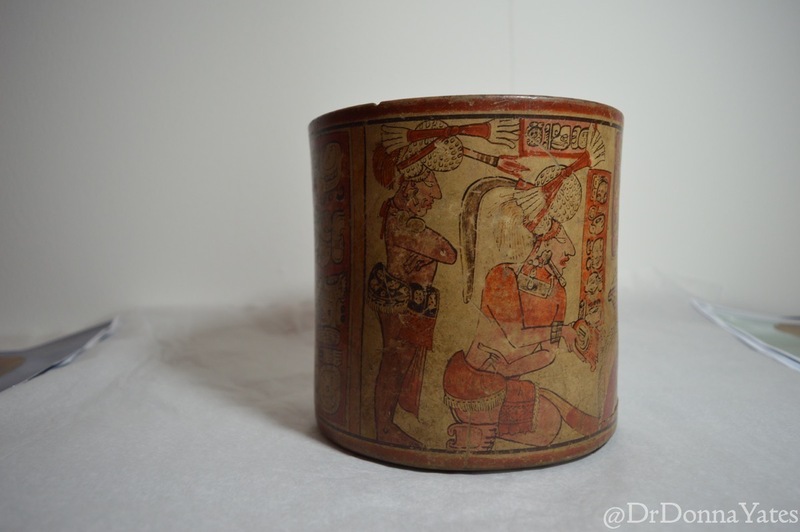 By that time most of the Maya countries had banned the export of antiquities so a black market grew to meet demand. The looting of the Maya region was particularly destructive. Large stone monuments were sawn to pieces to ease transport out of the jungle. 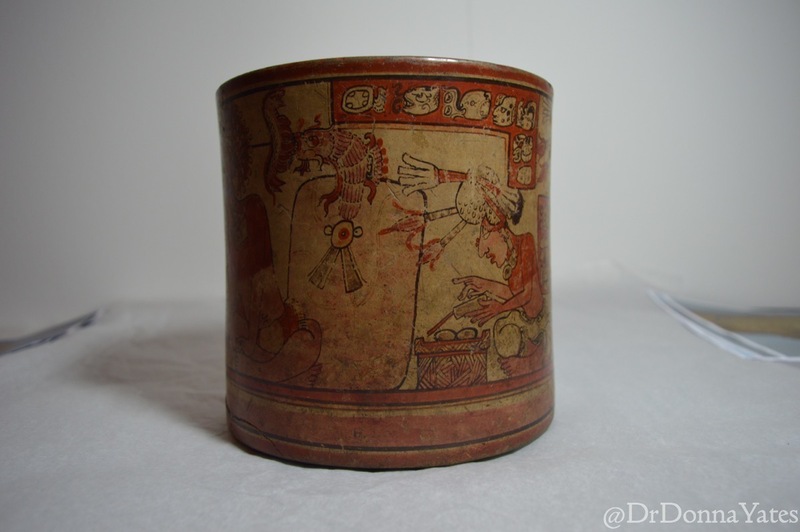 Thousands of temples, pyramids, and other structures were tunnelled into by looters looking for distinctive painted Maya pottery buried in elite tombs. Nearly every known Maya site has been looted. Many were sacked before they were found by archaeologists. Although most Maya sites were looted in the 1960s up through the 1990s, the problem continues to this day. 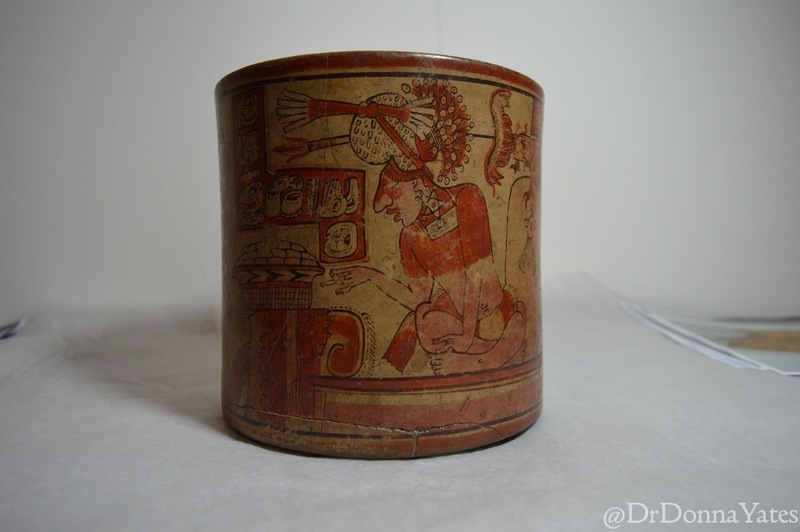 This looting represents a tremendous and unrecoverable loss to our understanding of the Ancient Maya. Although this vase was recovered at the site of Nebaj in 1904 and was exported legally, four other pots by the very same master artist exist in foreign collections and were very likely looted and trafficked in the late 1960s or 1970s. Because they were looted, we will never know how these vases relate to the site of Nebaj, who they were used by, or who they were buried with.